Over the course of one hundred years, The Chicago Community Trust has carved out a remarkable reputation for regional philanthropy and was led by just six individuals — an astonshing feat of continuity in leadership for any organization of such high reputation. 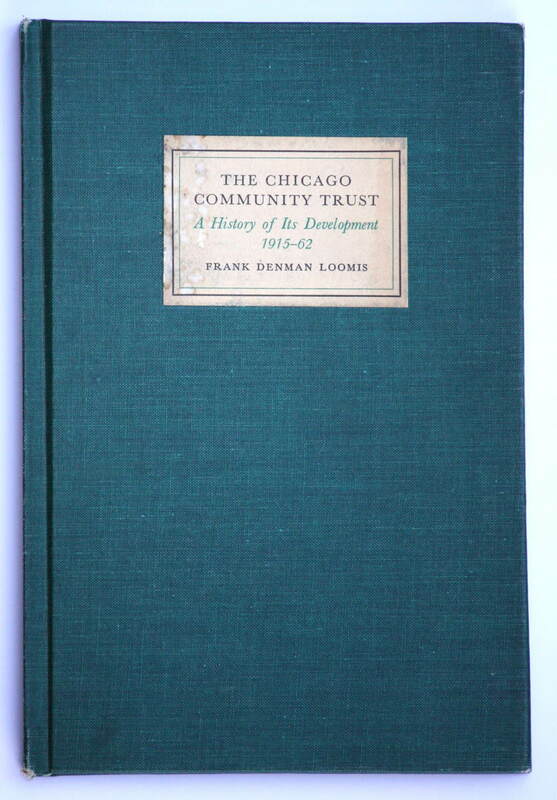 In 1962, the second Executive Director of the Trust, Frank Loomis, published a history of its first 45 years. Known internally as the “Little Green Book,” the slim volume was valued by board members and staff alike as a touchstone with the organization’s past, as well as a reminder of the growing importance of its contributions to the philanthropy of the Chicago region. 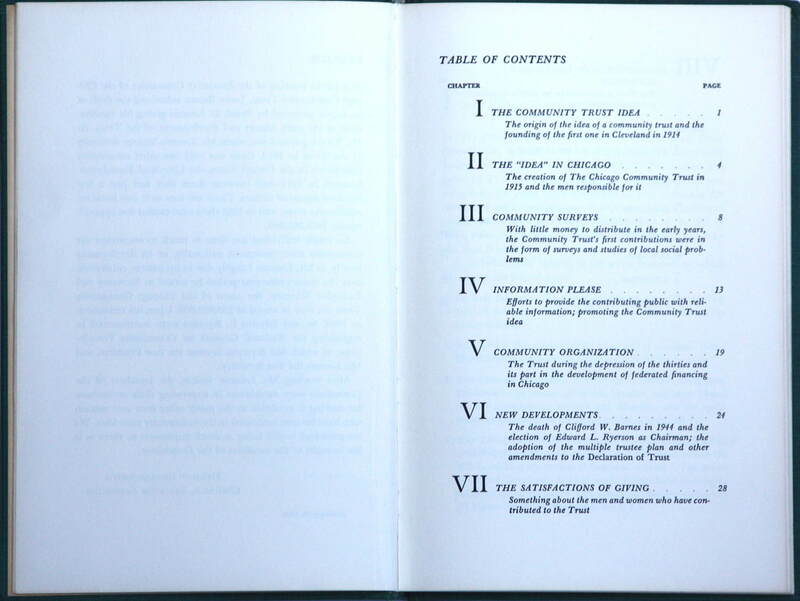 In September 2017 The Chicago Community Trust published a followup volume describing the next 55 years of the Trust’s history, bringing it up the date of its centennial. This latter volume was authored by current (and sixth) Executive Director Terry Mazany and released on the eve of his retirement. Michael Vitali was Terry Mazany’s ghostwriter for the more recent volume, weaving the various threads of institutional history, local flavor, and donor interests into a coherent and readable fabric. The new text would be bound with a facsimile of the earlier volume, and would include a new section of photographs covering the Trust’s entire 100-year history. The combined volume was designed and produced by Galambos + Associates. 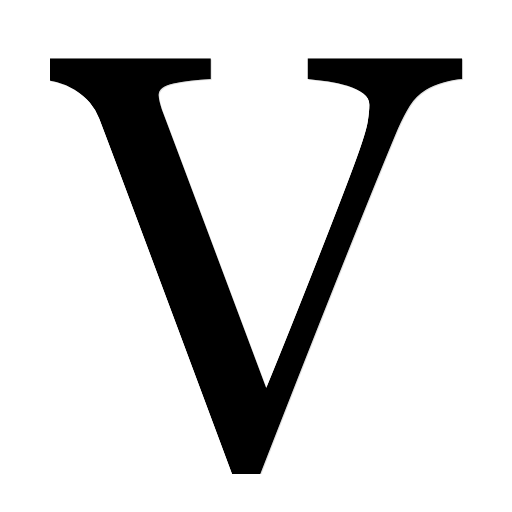 Organization of the material was derived from an outline written by Trust staff, and revised with input from Michael Vitali and Terry Mazany. It was decided early on that Mazany himself would write two of the eight planned chapters, with Vitali covering the other six. Chapter writing proceeded as planned, but with careful editing and rewriting of both Vitali and Mazany texts to promote cohesion of content and tone. Because each individual story or topic sometimes covered decades of events, the complexity of background exposition and the general momentum of the storytelling over 55 years was challenging to embody in a 20,000-word text. The result was a short but surprisingly comprehensive and readable new volume. Visual material in the form of archival photography was initially recommended by Trust staff as illustrative of the main text once it had fully taken shape. 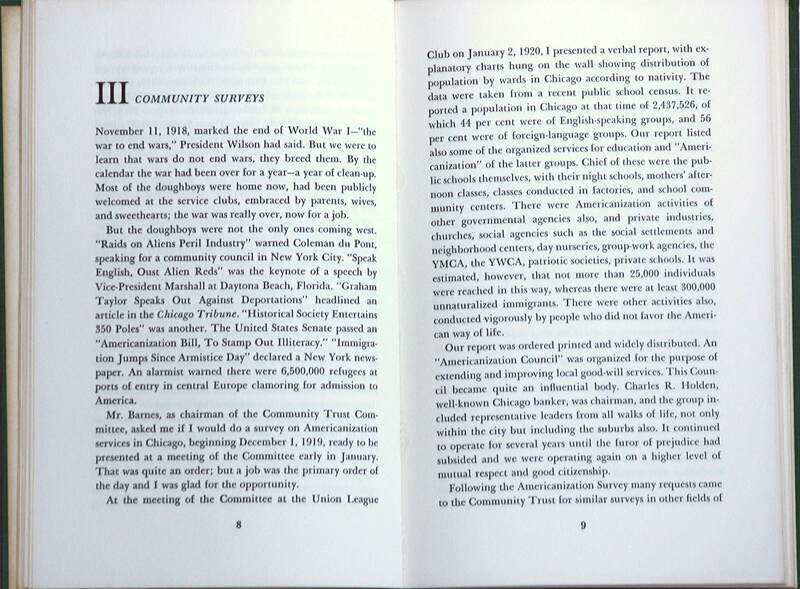 The audience for the book was assumed to be a general audience of philanthropically minded individuals: donors and their families, professional advisors (attorneys, financial advisors, wealth managers, family offices, and accountants), the nonprofit community, and civic-minded individuals of the Chicago region. The new volume was also assumed to offer great internal value to new board members and staff who are expected to join the Trust over the next five decades.